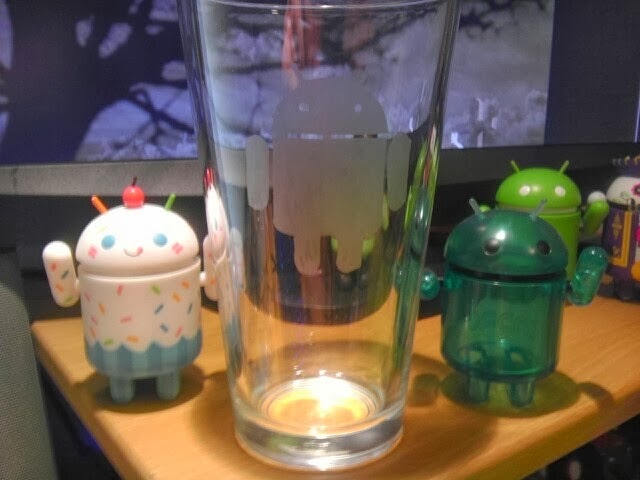 Humans need liquids to survive, it's a known fact. So why not imbibe whatever liquid it is that you're prone to in something truly becoming of your Android fan-hood? +Joshua Muñoz has launched his +Android Etch company (not to be confused like I was at first by +Omar Trujillo's AndEtch little curfuffle a year or so ago). 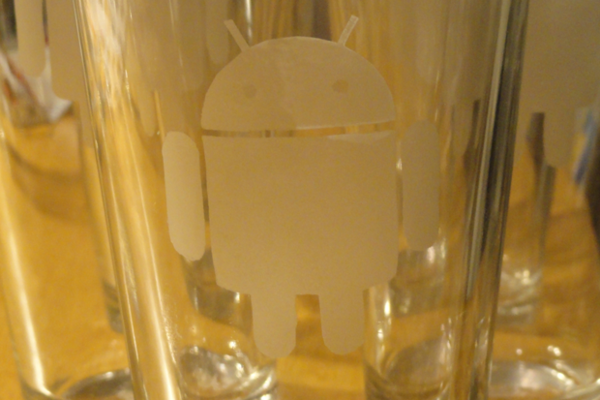 What he's bringing to the table here is some standard glassware, but laser etching our favourite bugdroid onto it. His IndieGoGo is up right now and you'd be helping him to purchase his brand new laser etching device so we can have these wicked additions to our bar... err... glassware collection. 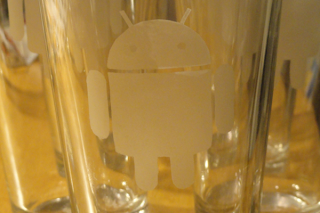 $10 is pretty good for a glass, and especially that it has our favourite mascot on it too! For higher contributions there's more perks as well (love how he names the levels as OS releases). Who wants to help fund at KitKat level with our Android Coliseum logo?